David D. Allred has been changing people's lives for almost a decade. In this time, he has become a multiculturalist mental health professional with holistic foundations. He brings together Eastern and Western practices through a biological-psychological-social-spiritual perspective. He believes in a process called co-learning. Co-learning is where the client and therapist learn from one another, this in-turn creates a powerful alliance to discover change, and removes unhealthy dynamics within the client(s) life. David believes therapy is a process of discovering new and alternative possibilities. 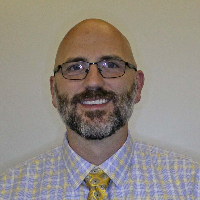 David possesses a Bachelor degree from Utah State University in Family, Consumer, & Human Development, a Master's degree from Seattle Pacific University in Marriage and Family Therapy, and a doctorate in Marriage & Family Therapy from Loma Linda University. As a Licensed Marriage and Family Therapist, David works with a broad spectrum of clients. His approach incorporates solution-focused, cognitive-behavioral, and structural-strategic family therapy principles. His experience includes working with adolescents, adults, and families. His expertise includes relationship and individual problems, marriage preparation, veteran/PTSD issues, adult & adolescent drug and alcohol problems, and defiant teenagers. David Allred is a well-rounded compassionate man that enjoys his family, travel, and great food. He also is a Veteran and currently serving in the Army Reserves as a Military Police Investigator. Would you like to write a review for Dr. ALLRED? We'd appreciate if you can spend a couple of minutes to write a short review for Dr. ALLRED. This review would be shared with Dr. ALLRED. It may also be posted in our website or in Dr. ALLRED's profile but it would be anonymous and your identity would be kept completely confidential.